A series of free workshops, Rethink Reconnect Reclaim, has begun exploring creative approaches for improving Indianapolis. The workshops run Sept. 15 through Oct. 21. Big Car Collaborative — the nonprofit organization currently teaming up with The City of Indianapolis on the Spark Monument Circle project — is organizing the series in partnership with Reconnecting to Our Waterways, Local Initiatives Support Corporation, and others. 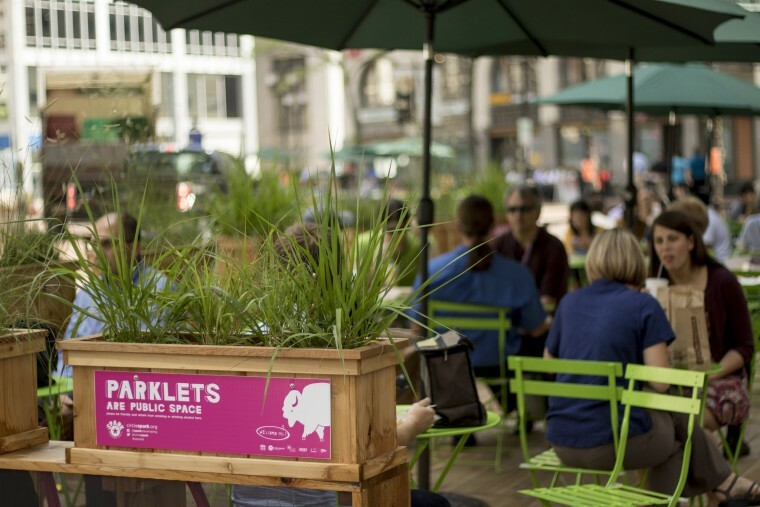 Placemaking is a buzzword that could be used to describe initiatives such as Spark and Rethink Reconnect Reclaim, but what in the world is placemaking? And why should we care about it? The assumption is that urban designers and politicians aren’t the only ones who have opinions and ideas about the places in which they live. Because Indianapolis residents all have an interest in it being a good place to live and work, placemaking projects like Rethink Reconnect Reclaim offer opportunities to participate in a process of imagining about place and experimenting in it. Artists who are already in the habit of imagining and creating may be uniquely positioned to participate in this process. That’s where social practice art comes in. For Indianapolis’s purposes in the near future, the idea is to bring people together to reimagine public spaces and to better utilize and take care of the city’s waterways. These events were designed to attract a combination of designers, planners, developers, artists, and other Indianapolis community leaders. For example, on Oct. 9, at noon, residents of Indianapolis are welcome to join Ash Robinson and Stuart Hyatt, an artist and musician who will be at the Spark welcome trailer at Monument Circle leading a brown bag lunch and discussion about placemaking projects that successfully engage people. The event will conclude with an intentional walk around the Circle, led by Big Car executive director Jim Walker. Another lunch will take place on Oct. 15, this time with David Engwicht – all the way from Australia – leading the conversation. Engwicht will also be discussing some of his own placemaking experiments on Oct. 21, 6:30 p.m., at The Platform. For those looking for a little more action, Engwicht and Miami civic advocate Anthony Garcia will facilitate an Oct. 21 workshop from 11 a.m. to 1 p.m. at The Hall. Attendees at this particular event will brainstorm and create their own interventions for space next to waterways in Indianapolis. Teams will even be commissioned to put their plans into action.